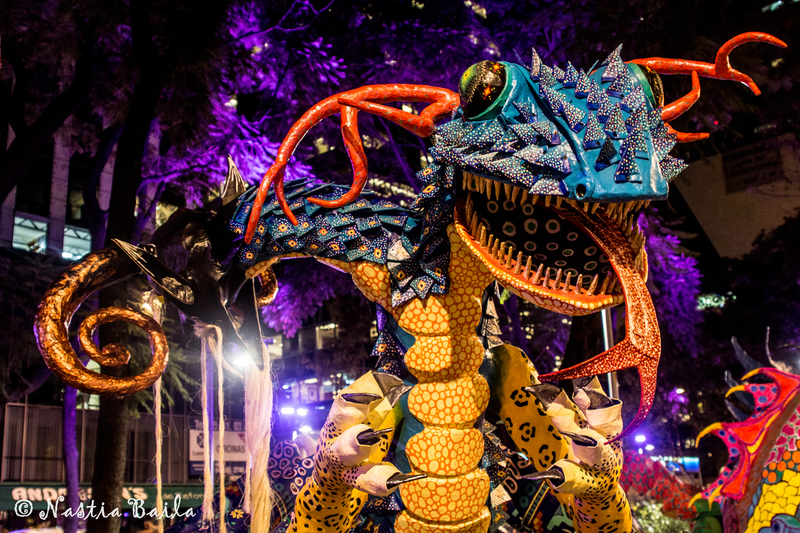 Riding our city bikes, or Ecobicis as they are known in Mexico City, on our way to our favorite movie theater (a run-down theater on the grandious Reforma avenue), we noticed monsters standing around majestically on the broad side-walks. 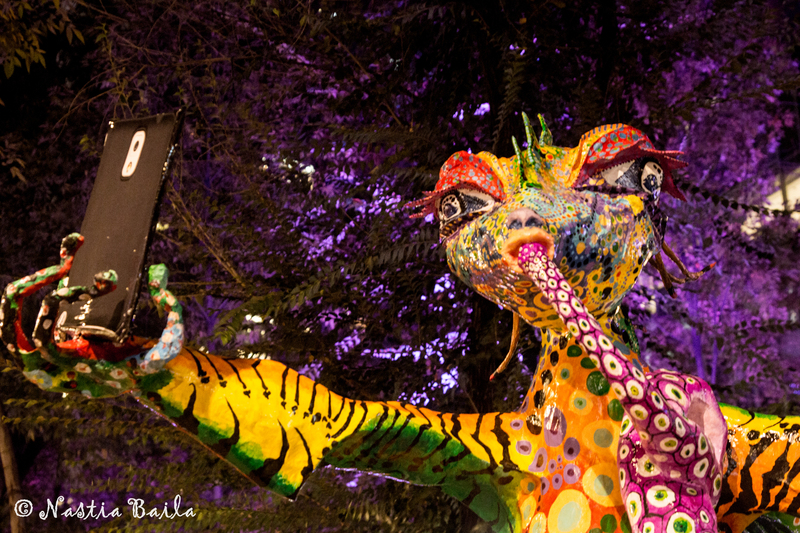 Alebrijes, visiting us from another reality, in which man and woman are the most boring of creatures. My wife was able to capture some of them before they vanished a week later. 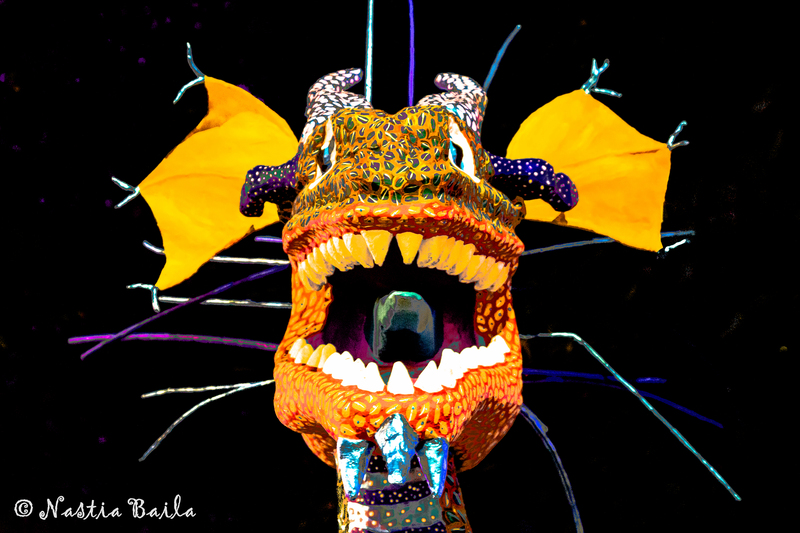 These monsters, birthed through hand and paper, glue and magic, are testaments to the artistic vigor that lives and thrives from the highlands of Oaxaca to the deserts of Sonora. 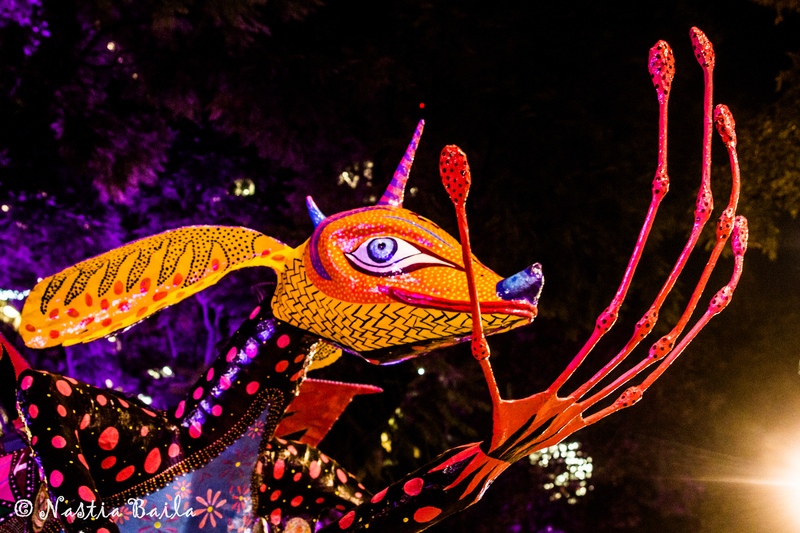 Beware not to stare too long; it is said that staring too long into the eyes of Alebrijes will summon them at night.